Just got my first 00 superhawk and I got it in pieces. Trying to install the tank and I don't know where the hoses go on the tank. Can someone help me out please. 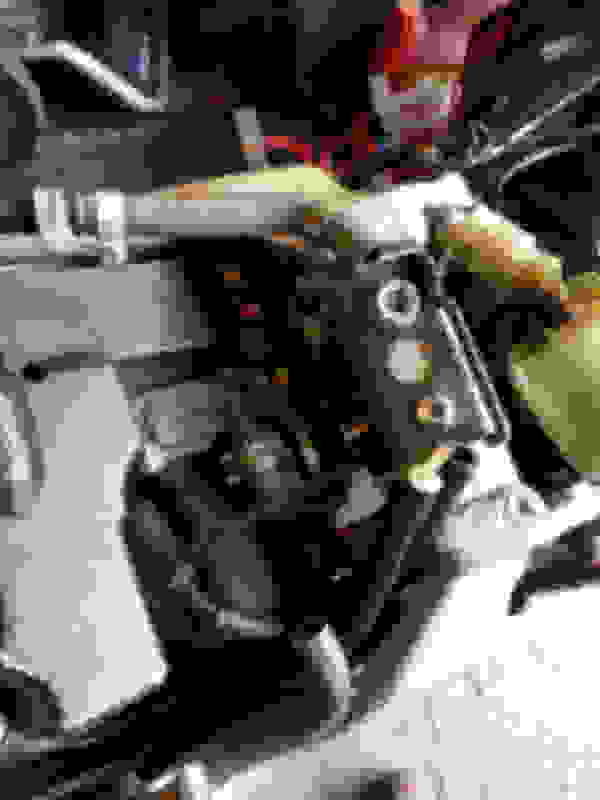 The two big ones near the frame rails connect the carbs to the spigots on either side of the fuel tap. 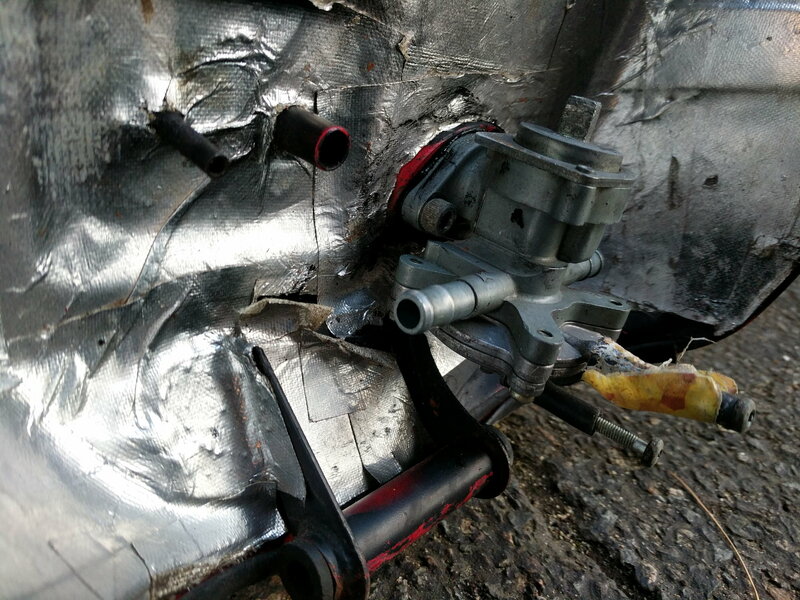 The fitting on the back side of the fuel tap with the short piece of hose should be connected to a vacuum hose that comes from the rear cylinder inlet manifold. You need vacuum to open the fuel supply, and shut it off when the engine is turned off. The other fitting with the ugly taped up hose should be just a vent for the fuel tap and can be left bare/open. There should be no leakage from here unless the diaphragm in the tap is FUBAR. You should have two more hoses, the larger diameter is for the fuel cap overflow, the smaller is the fuel tank air vent, both connect to the tank underside nearer the front. I suspect the hose with the white connector is the half of the air vent pipe, and the one next to it is the overflow. Don't forget to turn the fuel tap back to the on position (IIRC fully counterclockwise) with an 8mm spanner before you bolt the tank down. DAMHIK. Last edited by Cadbury64; 03-11-2018 at 05:06 PM.